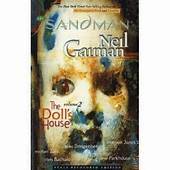 The second volume of the Sandman graphic novels, The Doll’s House, collects issues 9-16. Like the first, it follows the quest format. Here, Morpheus is attempting to find missing creations that have left the realm of The Dreaming. The story arc introduces two members of the Endless, Desire and her twin sister, Despair. They are, as you may suspect, the most sinister members of the family. Desire considers everyone, even her own siblings, her playthings. Despair does not wear clothes, is fat, and often works alongside Desire whenever she is plotting something. Her only companions in her realm are her pet rats. (For some strange reason, Desire bears a strong resemblance to k.d. lang. We also meet another version of Sandman, a superhero named Hector Hall, who was created by none other than Jack Kirby during his tenure at DC. This part of the arc was basically Neil Gaiman’s way of paying tribute to the King of Comics himself, since Kirby also created a character named Sandman. 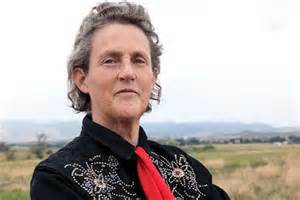 Temple Grandin is one of my favorite celebrities. She is an animal behaviorist who studied at three universities. She invented adaptive curved corrals, which reduced stress, panic, and injury in animals in slaughterhouses. She is a spokeswoman for autistic rights, because she happens to be autistic herself. 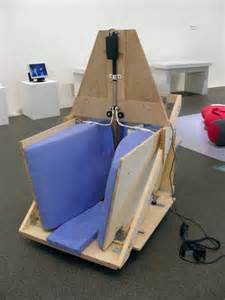 Her autism helped her to invent the hug machine, a machine designed to calm those with hypersensitivity. I grew up in a Christian family. Both my mother’s and father’s sides of the family were strong Christians. I first gave my life to Christ when I was 7 years old after a Sunday School service. I never once doubted God or His existence in my life, but I spent several years questioning what it meant to truly be a Christian because I grew up around some legalistic Christians. I was constantly analyzing and reshaping my beliefs up until the age of 18. I hadn’t been to a church in years, because the last one that I had been to didn’t fit me well. I began attending my current church after checking out their youth group that had been recommended by one of my friends, and my whole family started attending as well after we discovered that it was a nice, welcoming, and safe environment. God made it clear to us that it was where we belonged, and He used our current church to draw me closer to Him. At the age of 18 I rededicated my life to Christ and was also baptized. My childhood was pretty lonely. I didn’t have any real friends. I was the kid who was only invited to other kids’ birthday parties because the teacher said that they couldn’t give invitations to every kid except for me. I became fascinated with science at a very young age. As a child I was always dissecting insects, studying the planets and stars through my telescope, or designing an experiment to try. I would spent most of my time either reading about science or attempting experiments. I was always trying to learn as much about astronomy and biology as I could, probably because I didn’t have any friends and learning filled that empty space in my life. 3. 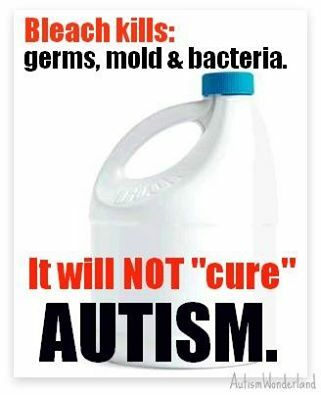 When were you diagnosed? My mother and I first heard about Asperger’s during my senior year of high school when I found out that one of my friends had been diagnosed with it. Mom, being a very curious lady, had me look up the signs of Asperger’s. I remember reading out loud to her this huge list of signs, and when I had finished she looked over at me and said, “Meghan, this sounds exactly like you.” I was in denial for a while about having it, because I was worried about how people would treat me if they found out that I was autistic. However, even though I denied having it at first I knew the moment that I finished reading that list that I had Asperger’s. I had finally found something that perfectly explained my entire life and all of my quirks. We began pursuing an official diagnosis, but it was difficult. After multiple attempts I was finally officially diagnosed by a psychiatrist last week with autism spectrum disorder. 4. Why did you start a Facebook group for autistics who were victims of bullying? I began interacting with multiple autistics in Facebook groups well before my diagnosis, and I noticed that almost all of them had horrific stories about being bullied and mistreated. This struck a chord with me because I had been bullied my entire life as well. I went through some horrendous things that caused me to go into a deep depression, so I felt like I could somewhat understand what my fellow Aspies and autistics had went through. I also noticed that there didn’t seem to be any safe groups for people to share their experiences with bullying and to get support. Posts about bullying in most of the groups that I was a part of would result in the original poster being made fun of, or there would be incredibly rude remarks made. This was incredibly upsetting for me, and I spent some time thinking about what I could do about it. Then the Holy Spirit laid it upon my heart that I could start a Facebook group for this purpose, since I have experiences with overcoming bullying, I have a servant’s heart, and I am an Aspie like many others in the groups. I then started my Facebook group as a ministry to help other autistics who have experienced bullying, and it has been such a blessing so far to be able to help others.